RKA Consulting Group currently provides professional engineering services for the annual implementation of the City of Norco’s Capital Improvement Projects (CIP) Program. As part of the CIP implementation, street and pavement rehabilitation is paramount in maintaining a municipality’s infrastructure. 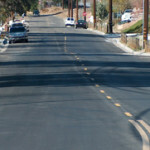 For three consecutive years, RKA has provided services to rehabilitate roads in the City of Norco, including engineering design, utility coordination, contract administration, and construction management.